A subscription to Hydrocarbon Engineering magazine is a leading source of business, technical and analytical information for the hydrocarbon processing industry worldwide. Published monthly, a subscription to Hydrocarbon Engineering magazine is essential reading for the downstream processing sector from the head office to plant operators, from oil refineries to gas processing, petrochemical and LNG facilities. 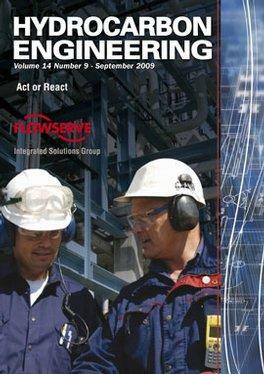 A subscription to Hydrocarbon Engineering magazine is the industry's 'must have' publication. A wide variety of in depth and informative features wait for you in every issue of a subscription to Hydrocarbon Engineering magazine. The main vision of this magazine is to provide readers with excellent information related to the oil and gas processing sector. It includes features on technical areas, new products, developments, changes and lots more. All these features are of high quality and well-written. A subscription to Hydrocarbon Engineering magazine is the best companion for all professionals involved in the industry. Be the first person to tell us what you think about Hydrocarbon Engineering and you'll save £2.50 on your next purchase!